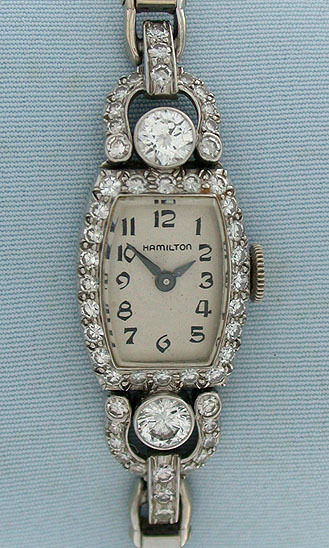 Fine Hamilton platinum, 14K gold and diamond ladies bracelet vintage wrist watch circa 1950. 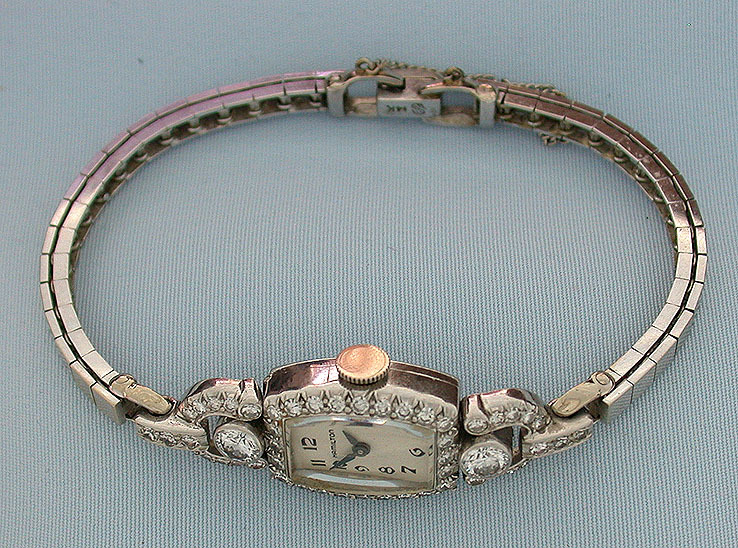 The platinum watch with diamond set bezel and attachments with a total weight of approximately 2 carats. 14 K white gold band. Silver dial with blued steel hands. 17 jewel calibre 911 movement. Overall length 6.75 inches. Lovely.